I was out running the other morning, on a somewhat rural road near the river in Great Falls. Everything was going normal, until I saw … Them. 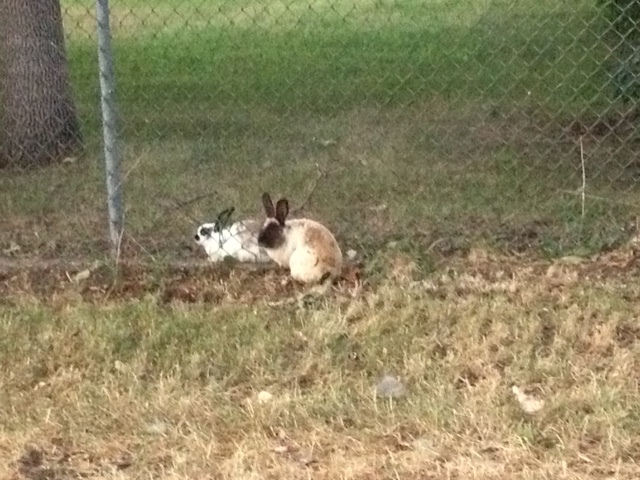 No, not the little wild cottontails everyone sees zipping around Great Falls. First, I saw just a little group of them hanging out on the side of the road, like it was no big deal. Since our little bunnykins is deprived of a proper backyard and would last approximately 4.27 seconds if left to her own devices in the wild, this was quite the curious sight to me. 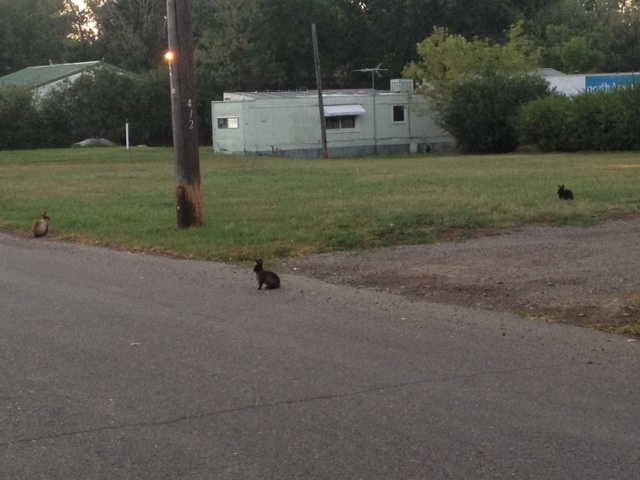 There were probably 10, 12 bunnies, just bunnying around, all bunnylike, as if it were totally normal. On this first outing, I didn’t have my phone with me, so I didn’t get any photos. So naturally, people just thought I was crazy when I told them about this Fantastical Bunnyland of Magical Fluffiness, where the bunnies roam free and the carrots are the size of trees. So I went back the next morning, iPhone in hand, and snapped these shots, to prove that the Fantastical Bunnyland of Magical Fluffiness does indeed exist, and that I am not just a crazy bunny lady who conjures these things up in my head. We are, in fact, in the midst of … A Bunnado. Or a Bunami, if you will. Or perhaps a Bunquake. For all we know, this may even qualify as Bunageddon. Or the Bunpocolypse. There’s a million different possibilities, really. Whatever you call it, this is a very serious situation that should not be taken lightly. Now, I’m not posting about this to frighten you. 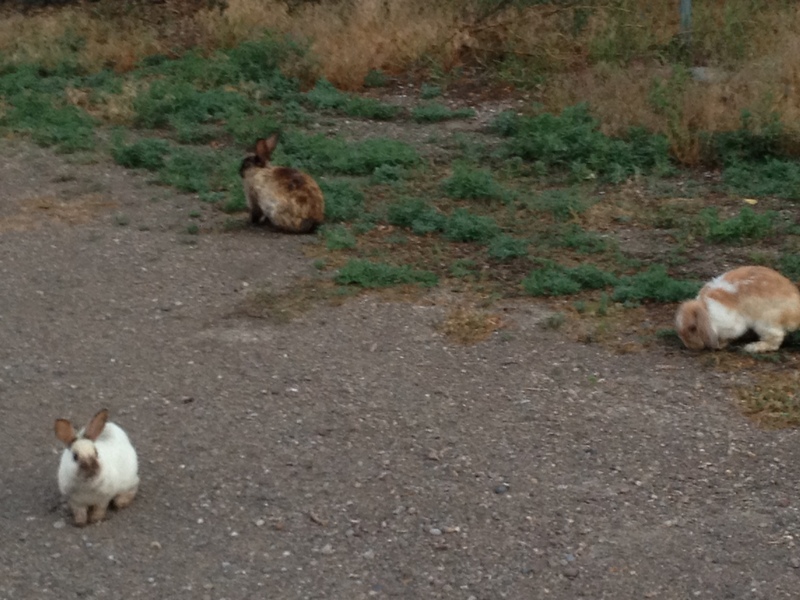 I simply believe you should all be alerted that if you run early in the morning, you’ll likely come across some fluffy bunnies that will distract you with their cuteness. And then your entire day will basically be shot because nothing’s going to top the fluffy bunnyness you witnessed earlier. YOUR ENTIRE DAY, people. You’ve been warned.